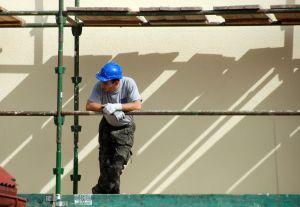 Construction jobs can be dangerous, as there are many hazards on worksites. As a result of the high risks associated with this professional, the Occupational Safety and Health Administration indicates that 19.3 percent of the 4,175 worker deaths in private industries in 2012 happened in the construction field. Unfortunately, more than half of these accidents had four common causes, which OSHA has dubbed the €˜Fatal Four. If the "Fatal Fourtop causes of deaths could be eliminated, more than 400 worker lives could be saved every single year. Employers and employees need to know of these top four causes of injury and do everything possible to prevent accidents and deaths from occurring. If a death does happen, victims need to speak with an Atlanta construction accident lawyer about their rights. Falls, which were responsible for 279 fatalities or 34.6 percent of deaths in the construction industry. Being hit by an object, which caused 9.8 percent of deaths and resulted in the loss of 79 workers. Electrocution, which caused 66 fatalities or 8.1 percent of construction-worker deaths. Getting trapped in or caught between, which resulted in 13 workers losing their lives and accounted for 1.6 percent of the 806 fatalities within the construction industry in 2012. Employers provide personal fall arrest equipment, which workers should wear at all times when working at heights. Employers install and maintain perimeter protection. Employers and workers cover and secure all floor openings and properly label covers to floor openings. Ladders and scaffolding be used safely at all times. Workers avoid positioning themselves between any moving and fixed objects. Workers wear bright and easily-visible clothing when working near vehicles or equipment. Workers stay out of excavations five feet in depth or deeper unless there is a sufficient protective system in place. Employers require and provide materials for benching, trench shield systems, sloping or shoring of trenches or excavation. Utilities be located and identified prior to work beginning. Overhead power lines to be clearly identified before work begins. A safe distance be maintained between power lines and machinery or equipment. Only double insulated or grounded portable electronic tools be used at the worksite. If employers and workers follow OSHA safety tips as well as workplace safety requirements hopefully worker fatalities due to the fatal four can be reduced. If you or a loved one was involved in a construction accident, an Atlanta construction accident attorney can represent you. Contact Van Sant Law, LLC today to schedule your free consultation.